We believe theatre is for everyone, and we're passionate about proving it. For almost forty years the Royal Exchange Theatre has been a hub of superb storytelling for Manchester and the UK, and there are even more exciting times ahead! Our vision is to be an internationally recognised centre of excellence for theatre in the UK and a vibrant cultural centre for Manchester and the region. Each year we showcase an ambitious programme inspired by the world's greatest stories: stories that have the power to change the way we see the world. To us, that means taking artistic risks, working as part of exciting partnerships, seeking out bold collaborations and championing new talent. Of course, great-storytelling shouldn't be confined to the stage. Whether we're training a new generation of theatre-makers, creating adventurous new work with over 60s, working with local communities or being inspired by the work of new writers, we're committed to creating more and more opportunities for those who want to get involved. Housed in one of the most beautiful buildings in the city, you only need to step inside to begin a journey into the world of the Royal Exchange Theatre. Come on in! We want to share it with you.  The Royal Exchange Theatre is a company limited (927203) by guarantee and a registered charity (255424).